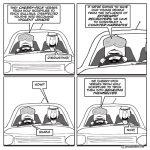 very funny, I love Jesus and mo cartoon. I hope this coming out in a book soner or later. You’re a genius. Your cartoons are the best IÃ¢â‚¬â„¢ve ever seen: not only very amusing but really clever by addressing serious thought-provocative issues. Well done! Clever and amusing references to philosophy, I love it! Man this stuff rocks, keep it going! I wait for you guys to invite Moses to complete the trinity! Oh many guests would be interesting. 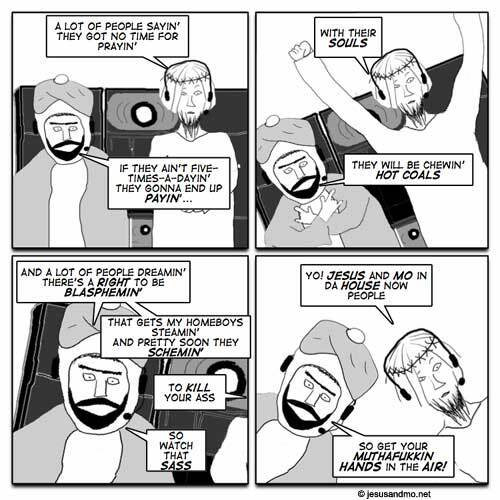 Jesus and Mo together and the others would be a GUEST as you suggest. Moses would be different, and is a must. The three prophets of the book religions together. 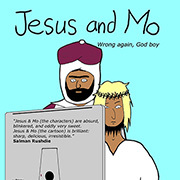 All those fundamentalist muslims and jews having to cope with Mo and Moses getting along together in one comic strip…. That Moses – he’s just wandering around lost. Tsk. I started praying. Thanks 4 reminding me!